recent times by a six season drought of trophies, thanks to Mr.
Wenger’s stubbornness in sticking to his youth policy. virtually the whole of 2010/11. 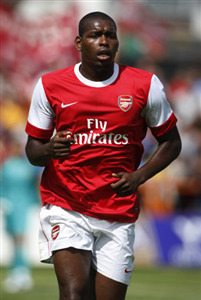 or even Sol Campbell; who had two spells with us. job as a defender, mostly after his forays forward. others in the fast, physical nature of the English Premier League. 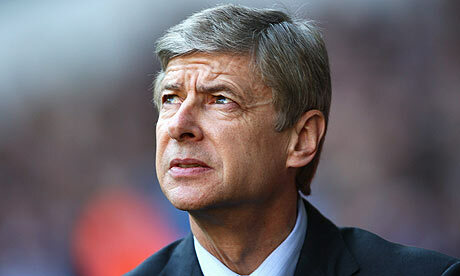 In my opinion, Wenger must stop gambling or else the trophy drought will continue. What do you think? Am I the only one that thinks so? Thank you for reading and please share your opinions. After the rather short transfer roundup in my last post, there has been a flurry of transfer news, rumors, gossip, and speculation, surrounding the Gunners. There is some interesting news that will be covered, so without further ado, here is the Arsenal Transfer News Roundup. According to the Daily Mirror, Arsenal will make an improved bid to sign Everton's Phil Jagielka,after the Gunners reportedly had a 10 million pound bid rejected for Jagielka's services, a few days ago. The Gunners will offer as much as 15 million pounds in order to secure Jagielka's signature. 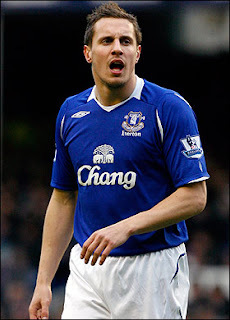 I'm not sure if Everton will accept this new proposal, as they reportedly value Jagielka at 20 million pounds and is one of their star players and who Everton want to hold onto. I believe if Wenger isn't willing to pay that much money upfront and wants to seal this deal, then he should offer a player as a makeweight like Bendtner, who Everton are reportedly interested in. 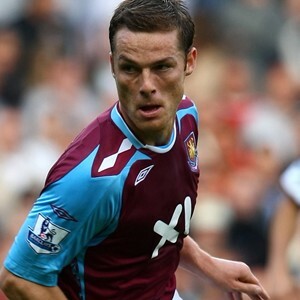 The Daily Mirror suggest that the Gunners are still interested in signing Scott Parker, but his wages of around 60,000 pounds, are a stumbling block to any potential deal. Parker is reportedly valued at around 6-10 million pounds. I believe that the team needs a holding midfielder, a midfielder with experience and quality to provide Alex Song with serious competition and guidance to rising, young talents like Emmanuel Frimpong, and Scott Parker fits that bill. My preferred option would've been Alou Diarra, as he has European experience, but Scott Parker would be a good signing as well. He is an excellent passer, a hard-worker, has lots of experience, good tackler, a leader and would provide some steel to the team. Fascinating news, again suggested by the Daily Mirror, as they state that the Gunners are willing to hijack Chelsea's bid for Romelu Lukaku. Lukaku, is reportedly valued at around 18 million pounds and is considered as one of Europe's best young talents, known for his power and physique. I really would love to see Lukaku in an Arsenal shirt, he has all the attributes to be a huge success for the Gunners and in the Premier League. But to be honest, I still believe he'll end up at Chelsea. This is the final report in this roundup that is reported by the Daily Mirror. The Daily Mirror states that 20 year old central defender, Kyle Bartley, is interesting both Championship sides, Burnley and Crystal Palace who are keen on signing him on loan. Bartley, already has had loan spells with both Sheffield United and Rangers, over the past few years and I believe he should be given his chance this season. He's highly rated by many fellow Gooners and has impressed in his loan spells, and seems to have a bright future ahead of him. If he doesn't get his chance this season, then in my opinion, he should be loaned out to a Premier League side, to gain as much top-level experience as possible. Link to the article: http://www.mirrorfootball.co.uk/transfer-news/Arsenal-defender-Kyle-Bartley-could-head-to-Burnley-on-loan-with-Crystal-Palace-also-keen-Arsene-Wenger-Eddie-Howe-article774598. According to Sky Sports, Jay Emmanuel-Thomas is on his way out this summer, with many Championship teams interested in him and that many have agreed terms with the Gunners. JET is regarded as one the Gunners' brightest prospects and got the attention of many fellow Gooners with his stunning goal vs Everton in the Reserve League. Unfortunately, it is said that JET has attitude and behavioral problems which effected his progress and career with the Gunners. The report also states that Arsenal are willing to sell him for around 1 million pounds, along with a huge sell-on fee, and that he will make a decision on where he will be headed to next, early next week. Burnley, Ipswich and Portsmouth are among those reportedly interested in him, according to Sky Sports. If JET does leave, then I wish him the best of luck in the future. According to The Sun, Samir Nasri has rejected a new contract offer, worth around 115,000 pounds per week. The report also states, that Nasri "told club pals" that he is willing to stay for another year and leave for free the next summer. To be honest, I don't really believe in this story, not only because it comes from The Sun, but also because of the "he told club pals" part. It doesn't look truthful at all too me, but this contract stalling is worrying me and if Nasri has, indeed, rejected a new contract then in my opinion, the Gunners should sell him. According to Ben Hayward of Goal.com, Arsenal are seriously interested in Villareal's Santiago Cazorla, as a potential Fabregas replacement, but that the move depends on whether Giuseppe Rossi will leave the club and if Cesc Fabregas leaves the Gunners. Cazorla is reportedly valued at around 20-23 million pounds, and not 18 million pounds which I wrote in my last post, I apologize for that error. 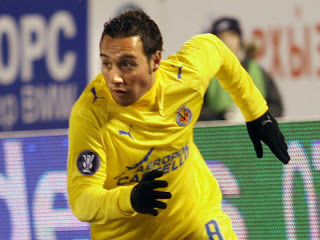 I'll say this again, which is that I am a huge fan of Santiago Cazorla and I rate him highly. 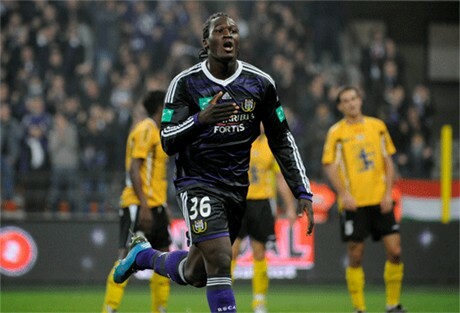 He's a top player, creative, skillful and dynamic; he would be an excellent signing for the Gunners. What do you think? Should Wenger up his offer for Jagielka? Should he go for Parker? Do you want to see Bartley go on another loan spell? Do you think that JET should leave the club? 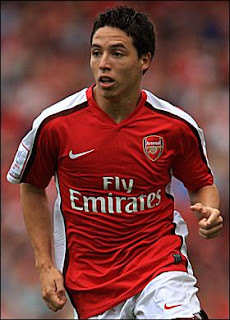 Should Nasri be sold, if he rejects or rejected a new contract? Do you see Cazorla as a suitable replacement for Fabregas, if he leaves? Also, what are your thoughts on the Arsenal vs Koln match? What did you think of Gervinho's excellent debut and overall performance of the team?